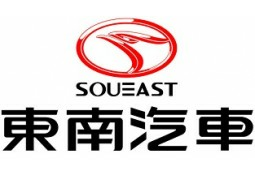 South East (FuJian) Motor Co., Ltd (“SEM”), which was founded in November 1995, with the registered capital of 138 million US dollars, is the largest automotive joint venture across the Taiwan Straits. In April 2006, Mitsubishi Motors Company became a shareholder of SEM with the share ratio as Fujian Motor Industry Group Co., Ltd (50%), China Motor Corporation (25%) and Mitsubishi Motors Company (25%). SEM’s current annual production capacity can reach 150,000 units. SEM is specialized in manufacturing sedans and multi-purpose passenger vehicle, owning two brands respectively named SEM and Mitsubishi. Regarding SEM brands (available to export), we have sedan as V3, V5, V6 and minibus Delica, as well as two SUV models of self-owned brand: DX7 designed by Italy Pininfarina and DX3 launched on Oct. 2016, whose technology reach international level. As for Mitsubishi brand, we have sedan models as Lancer EX. As for new energy vehicles, SEM has already developed V3 electric car, V5 electric car as well as Delica electric postal car, and all of them have been launched in the market. SEM’s sales and service network spreads across the country. SEM also exports products to Asian, African and Latin American areas. After 21 years of development, SEM has changed from the vehicle technology import to overseas export through independent research, development and innovation. In terms of research and development, SEM has entered internationalization 3.0 era in which SEM integrates global resources and leads the new trend of China's own vehicle brands. As for quality control, SEM is the national industrial enterprise quality benchmark recognized by the Ministry of Industry and Information Technology, and is the only company to receive this honor in China's auto industry. 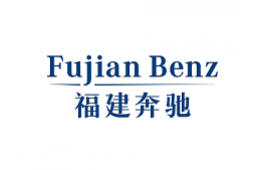 Fujian Benz Automotive Co., Ltd (“Fujian Benz”), founded in June 2007, with a registered capital of 287 million Euros, is a joint venture co-invested by Daimler Vans Hong Kong Limited, BAIC Motor Corporation Limited, and Fujian Motor Industry Group Co., Ltd and, with 50%, 35%, and 15% share of the venture respectively. Fujian Benz is the Vans production base of Daimler AG in the Asian-Pacific region and the plant Phase 1, with annual production capacity of 40,000 units, was completed and put operation in April 2010. Fujian Benz carries forward the essence of Mercedes-Benz’s century-long car-manufacturing experience, introduces mid-to-high-end Mercedes-Benz Viano, Vito, Sprinter and V-Class, and offers customers a comfortable, practical, flexible and safe full-range transportation solution, which is favored by high-end customers. In order to better serve the customers, Fujian Benz established a nationwide sales and service network. 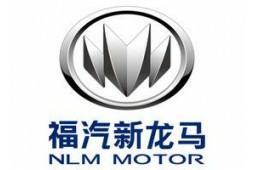 Fujian New Longma Automotive Co., Ltd (“NLM”) was established in 1997 with registered capital of 1.25 billion RMB, which is not only manufacturing base of self-brand automobile in Fujian province, but also the enterprise with the most complete qualifications to produce various kinds of vehicles in the province. In November 2010, NLM built a manufacturing base with annual production capacity of 150,000 vehicles at the initial stage in Long Yan city and became the largest enterprise of mini vehicle in the East China. The total investment of the engine project is 1.537 billion RMB, with annual production capacity reaching 150,000 engines at the initial phase. In June 2014, the first engine was off production line, representing that Fujian started to be able to produce engine by itself. At present, products of NLM include minivans QT M70, MPV QT EX80, and SUV QT60. Within three years since the factory was put production, products of NLM have stepped comfortable and practical vehicles from the utility vehicles. Xiamen King Long United Automotive Co., Ltd (“KING LONG”) was established in 1988. It owns three production bases respectively for large and medium-sized buses in Xiamen, minivans in Xiamen and front passenger buses in Shaoxing. 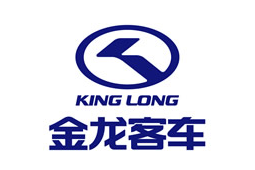 KING LONG has annual output capacity of 20,000 large and medium-sized buses and coaches, and 30,000 minivans. Since its establishment, KING LONG has produced more than 450,000 buses and exported more than 90,000 vehicles to 140+ countries and regions. More than 600 after-sales service branches have been established all over the world. KING LONG earns high brand awareness and reputation at home and abroad. In 2004 and 2006, KING LONG were awarded the honor of “China Brand” and “China Famous Brand” respectively, winning the reputation of “Made-in-China’s Ingenious Bus China Motor”. In 2017, KING LONG’s brand value has reached 30.445 billion yuan, ranking among the top 10 brands in China's auto industry. 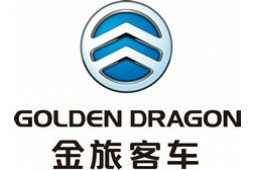 Xiamen Golden Dragon bus Co., Ltd (“Golden Dragon”) was established in 1992, and it has annual output capacity of 23,000 large and medium-sized buses and coaches, and 20,000 minivans. Golden Dragon’s product line covers all types of buses with length ranging from 4.7 meters to 18 meters and seating capacity up to 86 seats. In addition to conventional extra-large-, large- and medium-sized buses, tourism buses, city buses and minivans, Golden Dragon also produces low-entry buses, high-end commercial buses, BRT buses, full-load buses, school buses and SUVs, as well as energy-saving buses such as hybrid (oil-electricity, gas-electricity) buses, plug-in hybrid buses, natural gas buses and pure electric buse, so as to meet special needs in the overseas market. King Long United Automotive (Suzhou) Co., Ltd (“HIGER”) was established in 1998. It owns three production bases respectively in Suzhou, Kunshan and Xi’an, and it has annual output capacity of 35,000 large- and medium-sized buses and coaches, and 10,000 minivans. 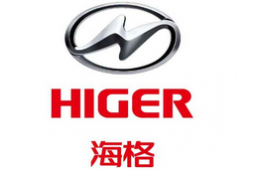 The product brand is called HIGER(China Famous Brand), with more than 300 varieties of products in more than 50 categories, covering high-end commercial buses, passenger transport buses, tourism buses, city buses, school buses, group buses and new energy buses. HIGER’s products are widely exported to Southeast Asia, the Middle East, Asia, Russia, Europe and the United States. HIGER earns high brand awareness and reputation internationally. In 2006, HIGER cooperated with Scania from Sweden to produce luxury high-end buses, which have been exported to more than 40 countries and regions, especially covering 27 countries in EU, accounting for more than 90% of China's high-end buses exports. HIGER initiates the dual-brand cooperation between HIGER and Scania, which has become a successful model for the cooperation between Chinese and foreign bus manufacturers. 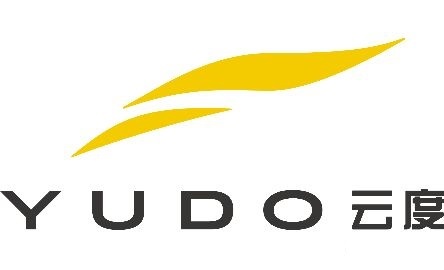 FJMG YUDO New Energy Automobile Co., Ltd (YUDO) was established on December 4th, 2015, with a registered capital of 900 million RMB. The company is located in Putian city, which is known for “the international cultural center of Goddess Mazu”, has become an important platform for the development of new energy vehicles，and the first newly built pure electric vehicle production enterprise in Fujian Province approved by the National Development And Reform Commission. YUDO AUTO has launched its first model π1 on Oct. 10th, 2017. π1 is a forward developed pure electric SUV with City-Version and Intercity-Version. Utmost range per full charge reaches 200km and 330km at speed of 60km/h for 2 different versions. YUDO π1 aims to provide the best solution for people's travelling in or outside the city. YUDO AUTO’s 2nd model π3 has been launched on Mar. 28th, 2018. Utmost range per full charge reaches 350km at speed of 60km/h. YUDO π3 aims to provide the extreme enjoyment of new energy vehicles.